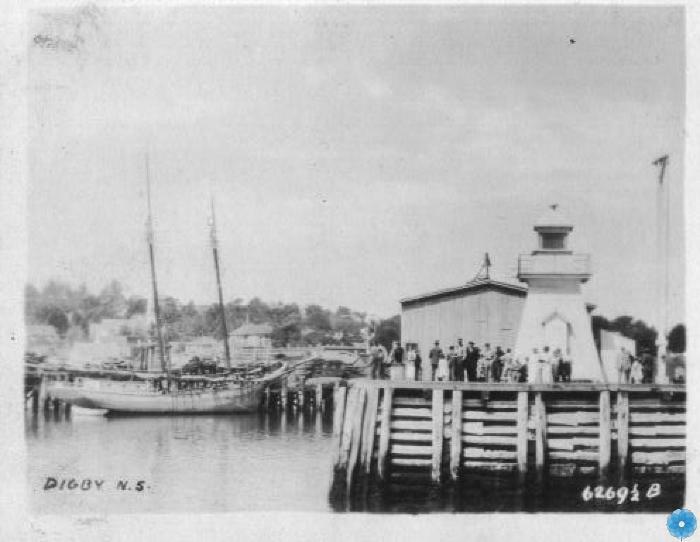 Scope & Content: There is a building, lighthouse and a large group of people are standing at the end of the Digby pier. There is a schooner at a wharf to the left. You can see part of downtown Digby.